On a spectacular site we undertook a full renovation of a waterfront 1950’s ranch, collaborating with Architect Michael Collins to create an airy, modern vacation home for a young family. 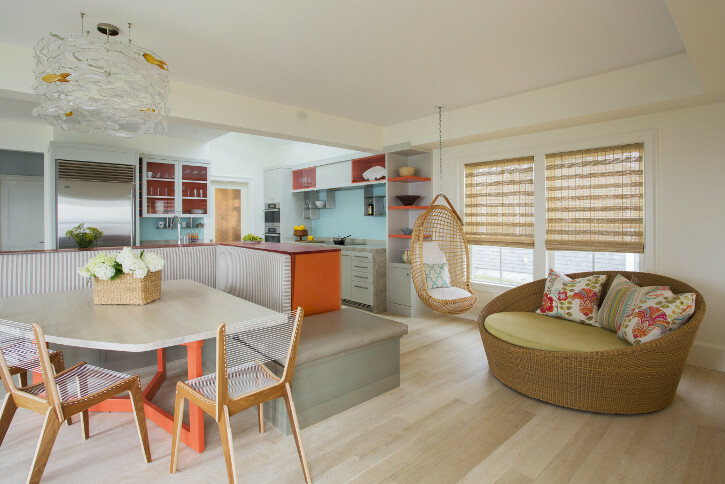 The plan features an open floor plan, sleek furnishings, and a delicate, playful color palette. Light wood floors, an open stair and large window create a cool sense of floating on the water outside. The fantastical “bunkroom”, created for 2 young girls’ childhood summers provides a cozy group bedroom with lots of private, fun places to explore.